The search for meaning and synchronicity is deep within each one of us. As we grow and heal, either emotionally or physically, we are continually asking questions and trying to figure out meaning behind it all. Tarot is a tool, a guide if you will, but not necessarily from from a divine source, unless you consider yourself the divine, which I might. It’s a tool for reflection, it’s a trigger, a catalyst, a jumping off point. When you pull a tarot card, or oracle card you see an image and usually a word or phrase. What feelings arise? What is your immediate reaction? Are you pleased with the card? are you disappointed with the card? why? The card is just a piece of paper. An illustration. A Symbol. It’s a symbol for something so much deeper. A symbol for your inner consciousness, often referred to your sub conscious. Through these images we can come back to our own deeper meaning on what we're seeking answers for. 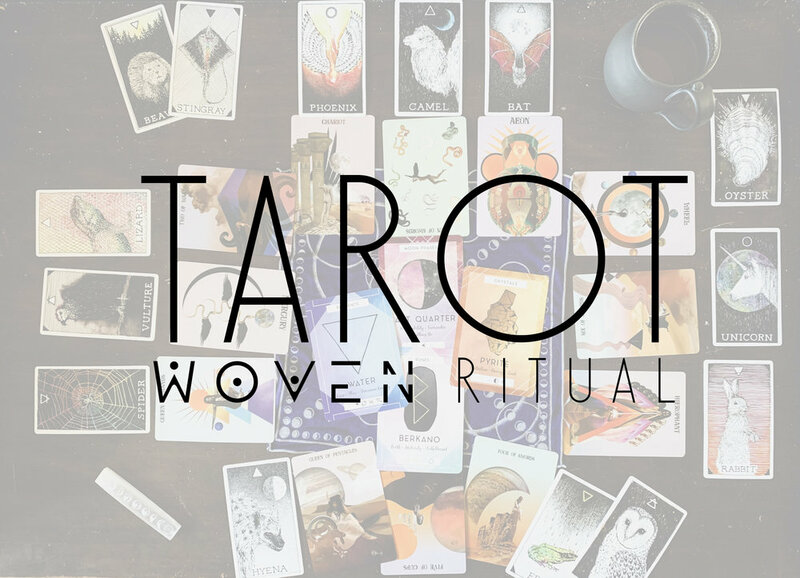 Part of me loves that so many fringe concepts have become more popular, and that there is more acceptance around things like tarot, crystals and essences, but the other part is worried that the fad will fade and we’ll be back to our destructive ways. Though daily self reflection and awareness we can continue the trend for many years to come and continually better ourselves and our experiences. Follow along with Tarot Tuesday to see in depth explanations for each card, questions to ask yourself, symbolism to incorporate into your routine and my interpretation of each card I pull.